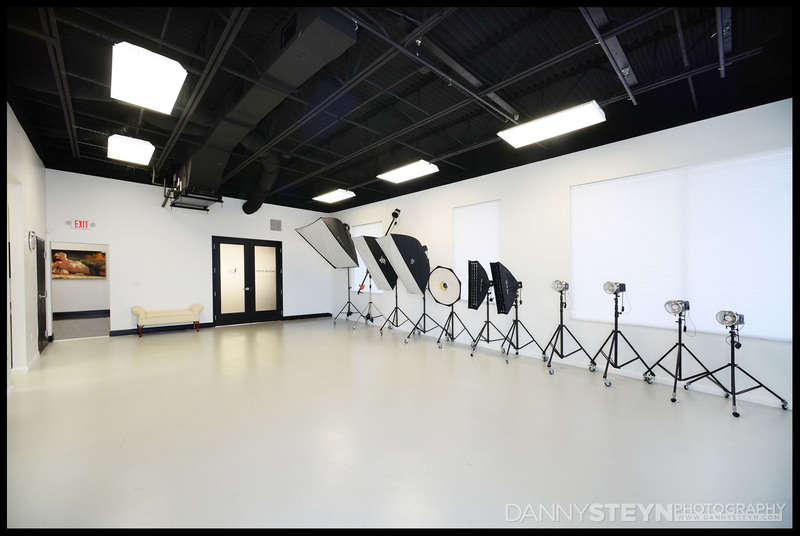 Welcome to our new Photography Studio – Construction is Complete! When we moved into our previous studio we had the privilege of getting it complete prior to move in, but with this build project we had to move in and start shooting while we were still involved in the construction, so we have had to balance our construction schedule with our shooting schedule, which fortunately is up significantly on last year. 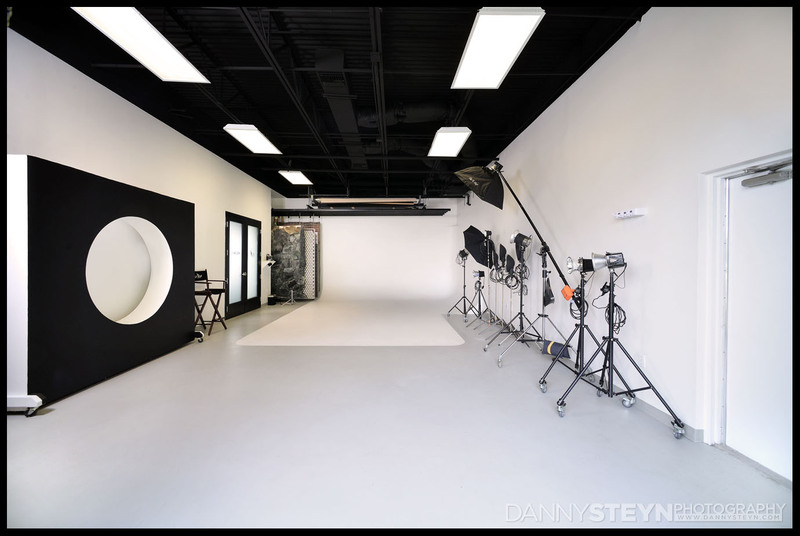 We have been shooting in our new photography studio for the past 6 months. 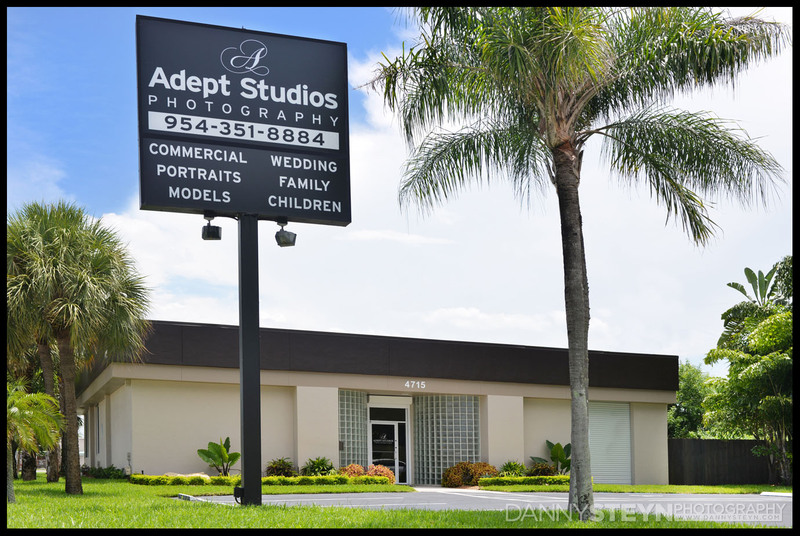 It is an exquisite studio and it provides us with many benefits over our previous location, but of course owning our own building allows us to modify and tailor it specifically to our needs, and we hope to see some capital appreciation over the years. 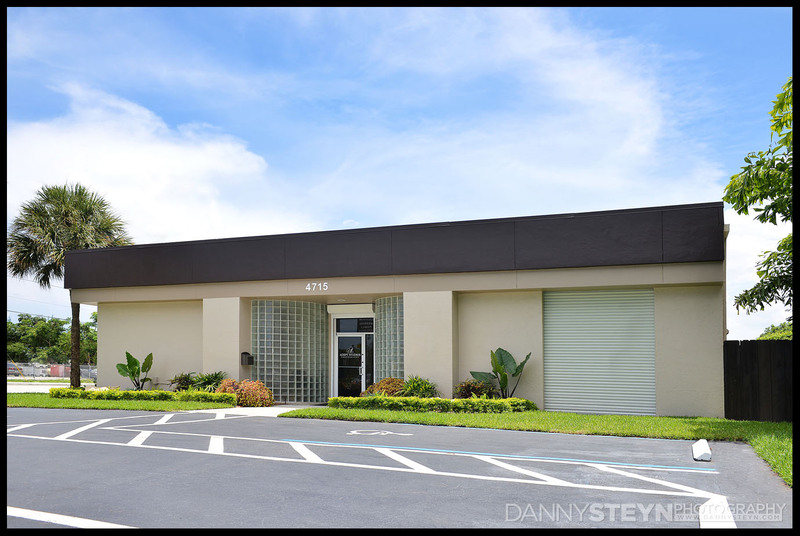 Kim did a tremendous job with landscaping and improving the exterior look of the studio and we have had many people, including the City, compliment us on the new appearance. The existing signage was easily changed out. We will install signage on the front of the building when the time is right. 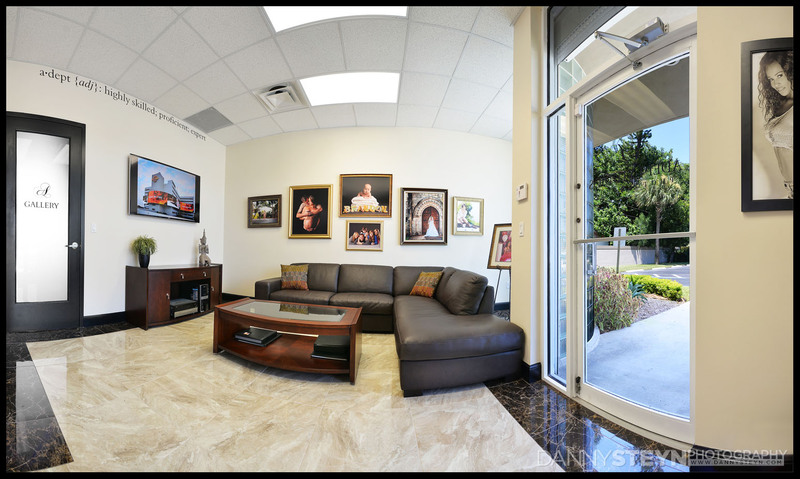 The Lobby is where we meet with our clients and hopefully it creates the right first impression. It is light, and roomy and provides a comfortable seating area with a large 60 inch TV which runs our photographic images in a slide show. The display is easily customizable depending on the clientele we are servicing that day. From the LOBBY you enter the GALLERY. 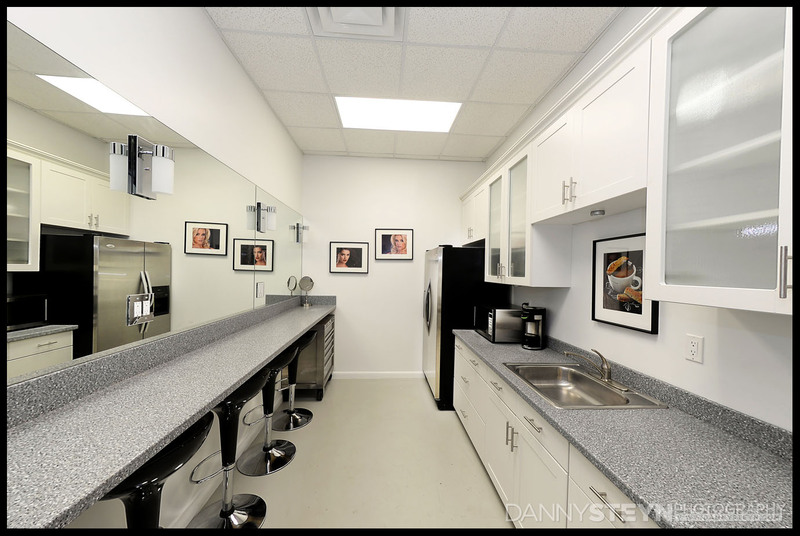 We use the GALLERY to showcase our work and to transition from the two shooting studios to the prop room and bathrooms. Currently we just have customer images on the wall while we are busy framing images and hanging lights. Once this area is complete I will update with new images. The EDITING OFFICE is where we spend most of their lives and it has four dual monitor work stations, and place for several more. It is served from our Servers and NAS Storage and Backup Servers located on rack server in the Prop Room. The PROP ROOM is always the hardest place to keep organized. The more props, lights, softboxes etc. you have, the harder it is to find space to store them other than having them clutter up your shooting space. And we typically shoot till we are too exhausted to pack things away before heading home at night. Fortunately we learned many lessons at our previous studio and made several organizational changes for our new studio. As you can see there is a place for everything and everything is in its place. We employ a custom designed pulley and rail system to get the heavy and bulky props off the floor and onto the shelving space above. This keeps the floor clean and work bench easily accessible for building more props!!! The KITCHEN and MAKEUP STATION area is smaller than we would have liked but we had to make do with the space we had. You will recognize the kitchen cabinets from our previous studio which we were fortunately able to reuse. This space is very organized, and we now have separate 20A electrical outlets through the mirror at each of the 4 MUA stations, allowing 4 models to be styled simultaneously using heavy amp curling tongs, dryers etc. We also upgraded the electrical circuits in the Prop Room where we do all the ironing and steaming of our client’s wardrobe. And finally we come to the twin hearts of our studio – the shooting areas. 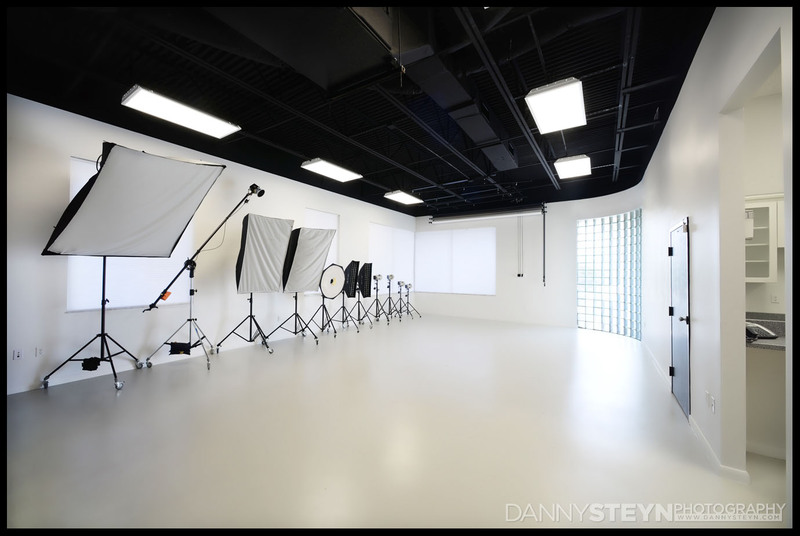 The wonderful light that we have in our NATURAL LIGHT STUDIO is a great addition to our studio. This is something that we did not have in the past, and the ability to shape natural light has given us a totally new shooting dimension. We also installed window blinds, roll down backdrops against the far wall as well as a pulley system that provides the ability to easily hang several layers of curtains or props to create depth and interest, which combined with the length of the studio makes it perfect for building our elaborate boudoir photography sets. 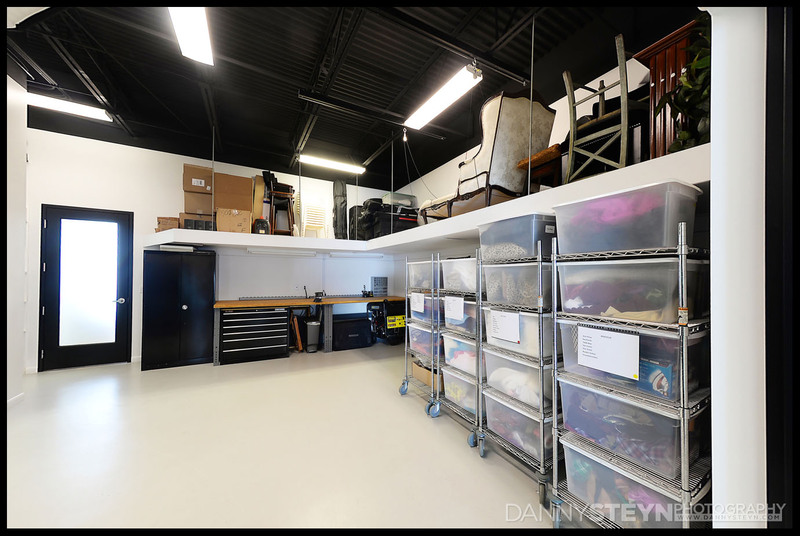 Our PRODUCT and PORTRAIT STUDIO was the last phase to be completed as it has been serving as our storage area while we have been shooting and working on the other rooms. It features a full size seamless cyclorama wall as well as motorized back-drop rolls and pull out sliding backdrops for fast background changes. And of course it has a drive through roller shutter door that allows vehicles into the studio, either for shooting or for offloading location equipment. Hope this thread gives you ideas on what do in your own shooting spaces.